The Victor Harbor Farmers Market is teaming with Victor Harbor Salvation Army to donate $5,000 towards the Eyre Peninsula drought appeal. “Drought is one of the greatest challenges our farmers and producers face, and if we as a Farmers Market Committee can support our famers in any way during these difficult times we will” said Jane Williams, Committee. 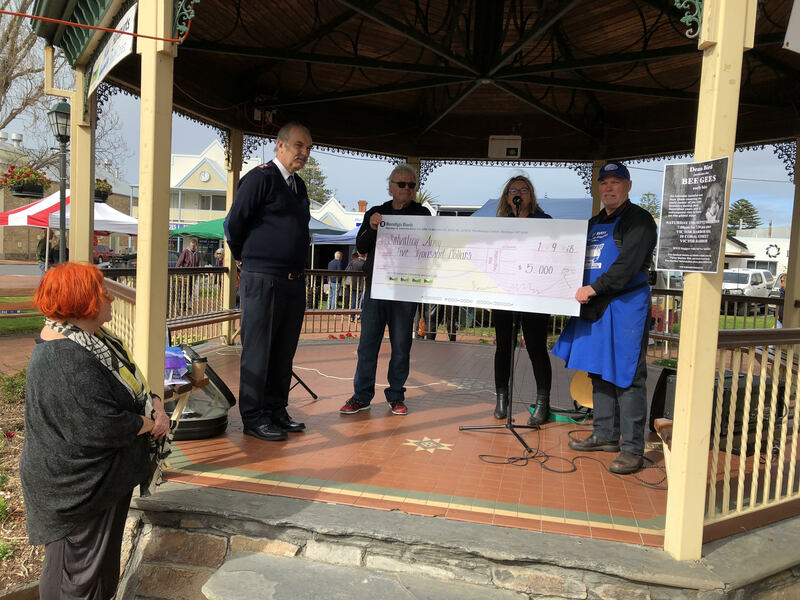 “It’s time we gave back a little to our farmers, especially when they need it most,” added Moira Jenkins of the Victor Harbor Farmers Market committee. Moira highlighted that the economic and mental health impacts of the drought cannot be underestimated. “We depend on our farmers and our producers every day to grow the food that we all enjoy. We really must all step up to the plate and help,” she said. 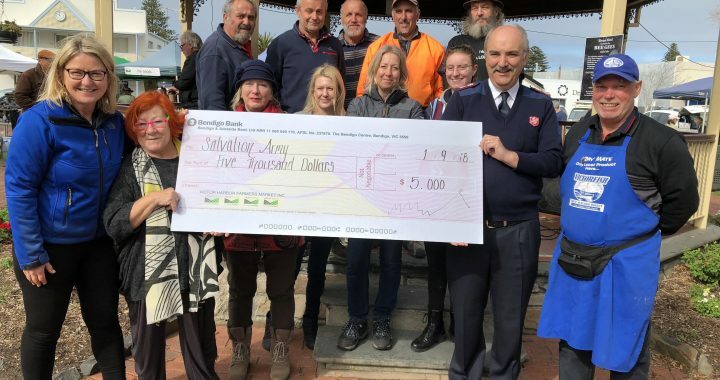 Major Howard Trendall thanked the Farmers Market Committee and said that the money donated by the Farmers Market will be going directly to the farmers in need through the Victor Harbor Salvation Army Drought Appeal. The money donated has come from all of the stall holders at the VH Farmers Market, as well as from the Farmers Market Committee. “Because the market is now totally run and managed by volunteers, we can now afford to donate any extra funds we have to worthy causes”, said Neil Hosking from the Farmers Market Committee. Any media enquiries contact Moira Jenkins 0412733453.